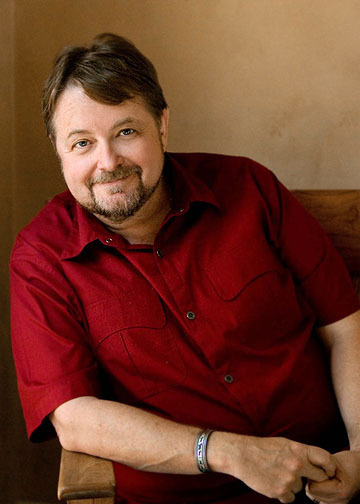 Luis Alberto Urrea has done it again. 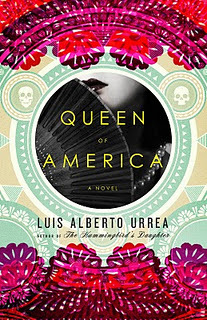 Urrea has released his new book, Queen of America (Little, Brown), the sequel to his brilliant 2005 novel, The Hummingbird’s Daughter. And while the tone of the books is different, the book is classic Urrea. “They had once been her neighbors and friends, and then they become her followers. She felt a small chill of horror. Followers! It was terrible to have followers. But it was more terrible that part of her liked it. That passage shows why Urrea is such a great writer. He’s just so much fun to read. Besides his beautiful descriptions and witty dialogue, he also creates some memorable characters, such as Teresita’s father, Don Tómas. His selfishness, arrogance and lack of self-awareness brings some of the biggest laughs in the book. But Tómas is absent from the last half of the book as Queen focuses mostly on Teresita’s journey. And then the book becomes somber, as Teresita realizes that not everyone has the best intentions for her and she yearns to return to her homeland. The reader becomes a bit melancholy, too, as another great book comes to an end. • Urrea spent 26 years researching and writing The Hummingbird’s Daughter and Queen of America, and he did it while writing other books, such as Into the Beautiful North and the non-fiction The Devil’s Highway. • Urrea has a great website, which includes tour dates and a blog. And follow Urrea on his Facebook and Twitter feeds. He’s a lot of fun on there, too. Can I recomend a book Xtabentum: A Novel of Yucatan By Rosy Hugener (Latin) and Carl Hugener.